HiLux Vs Ford Ranger Ute — Auto Expert by John Cadogan - save thousands on your next new car! If you're in the market for a ford Ranger you're also in the market for a Mazda BT-50. They're the same vehicle. So I'd see which one of the two you like best from a detail point of view. Under the skin, however, they're exactly the same ute - as in: same powertrain (Mazda is diesel only...), same platform, same major architecture. The Mazda isn't as good looking as the other two - sticking the Mazda 'face' on the front didn't help. They're both good vehices. The V6 petrol HiLux is very powerful (175kW and 376Nm) against the Ranger's 122kW & 225Nm 2.5-litre petrol four - so a no-brainer there in terms of performance. Diesel HiLux Vs Diesel Ranger: 126kW and 343Nm (the latter at ust 1400rpm!) for the HiLux and 110kW & 375Nm for the Ford diesel - so they're much closer on performance. There are Toyota and Ford dealers everywhere, so that's not an issue. They're both five-star-rated for safety. I'd check out the Nissan Navara ST-X 550 if you want ultimate grunt. It's the most powerful 4x4 ute (170kW & 550Nm from the V6 diesel). A really outstanding performer. For towing the Ranger wins (3500kg versus the HiLux on 2250kg). Please let me know if this helps. Once you know what you want give me another bell - my contact in the car broking game will get you the vehicle at the lowest possible price. It's what they do, and there's no charge to you (they charge the dealership a commission for achieving the sale). Only the Holden Colorado, Mazda BT-50 and Ford Ranger tick all three boxes here. 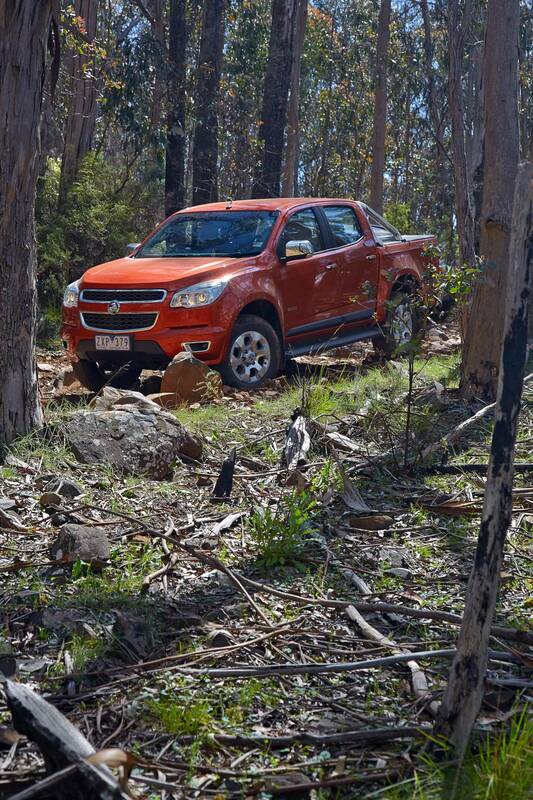 The Colorado also offers a staggering 500Nm (with auto trans) so the performance is exemplary. Like all these utes it is manufactured in Thailand. On objective criteria it's the ute to have. Should I Buy the Lexus IS 300h?